Though his brewery shares an anniversary with America’s Independence Day, it was during an extended stay in Europe that Mike Hale was inspired to launch what has become the oldest independently-owned, small-batch brewery in the Pacific Northwest. Hale’s wife was on a Fulbright teacher exchange in 1982 with an educator from England. The couple had upped sticks from Washington State and settled in for a while. Hale himself couldn’t work, so instead he spent time traveling the countryside, checking out smaller, often one-man breweries. He had some experience with the genre. It was while in Sonoma that he went to barbecue at a friend’s place. The friend’s neighbor was an ex-Navy mechanic with a bit of a reputation as a cantankerous eccentric—in particular, the neighbor did not like people dropping by his business unannounced. Jack McAuliffe’s business was a small brewery called New Albion, the first such new one in the United States since Prohibition. McAuliffe’s neighbor—and Hale’s buddy—called over the fence during the barbecue: Hale had tried New Albion, would Jack mind if they dropped by? “Come on over,” McAuliffe called back. Over they went to see McAuliffe’s gravity-powered brewery. “It was very strange for those days,” Hale recalled during a recent interview. The impromptu visit to New Albion gave Hale an idea—even though it would be years, and a move out of the wine business and into semi-retirement in Washington State—before he realized it. That was just some of the knowledge Hale picked up in England a few years later. He returned to Washington State, to the small town of Colville about 70 miles north of Spokane. He gathered investors and equipment—mostly of the used-dairy variety—and built a 10-barrel system that included open fermenters similar to the way things were done in England. Washington State incorporated Hale’s Ales Ltd. on March 4, 1983. Four months later, the new company brewed its initial run of Hale’s American Pale Ale, an homage to the English ales its founder had fallen in love with (though with German-born Hallertau hops because that’s what Hale could find back then). 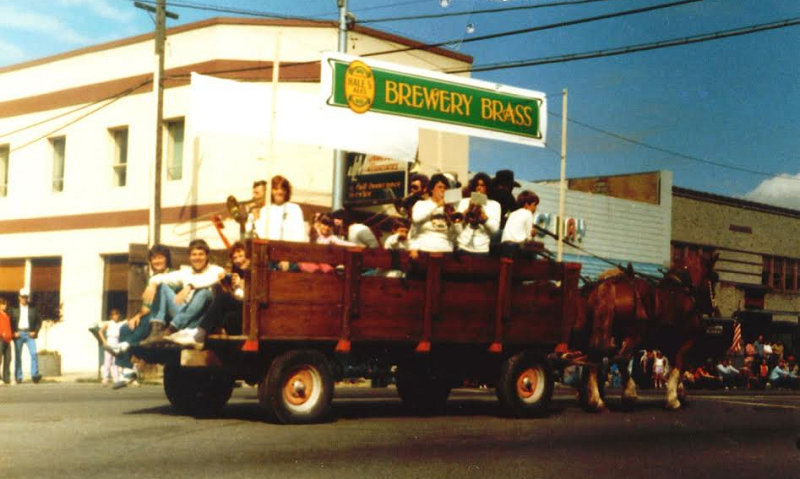 The brewery first brewed the pale ale on Independence Day—July 4, 1983. 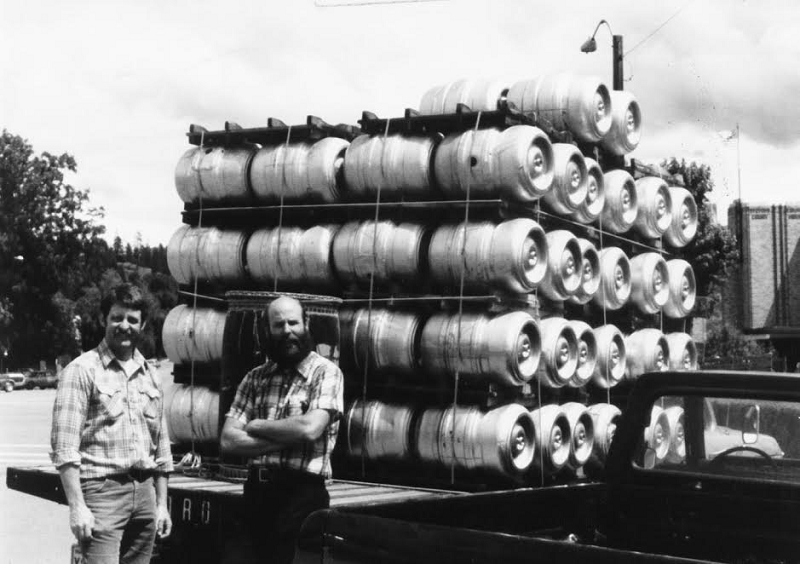 Hale did not plan it that way—it was just how things worked out (the kegs were delivered eight days later to a local bar). Hale’s Ales would not start bottling until 1997. By that time, the brewery had moved to roomier digs in Seattle—via stops in Kirkland and Spokane—and it was surrounded by hundreds of new arrivals in what was being called microbrewing. There are now more than 350 micro or craft breweries in Washington State alone and more than 5,000 nationwide. 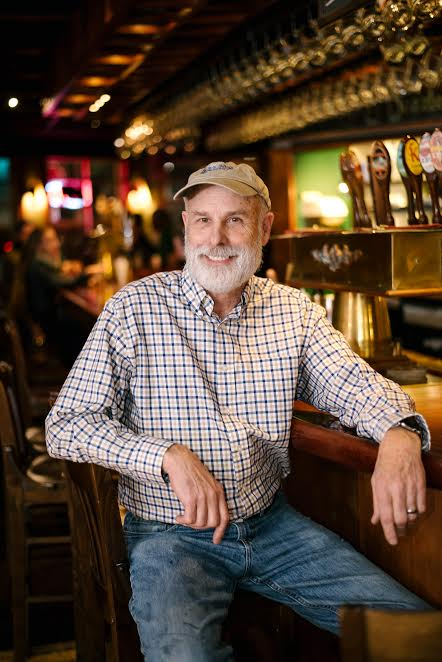 Tom Acitelli is the author of The Audacity of Hops: The History of America’s Craft Beer Revolution, now in its second edition, and the new Whiskey Business: How Small-Batch Distillers Are Transforming American Spirits.